Ben My Chree a passenger and freight ferry which is operated by the Isle of Man Steam Packet Company. 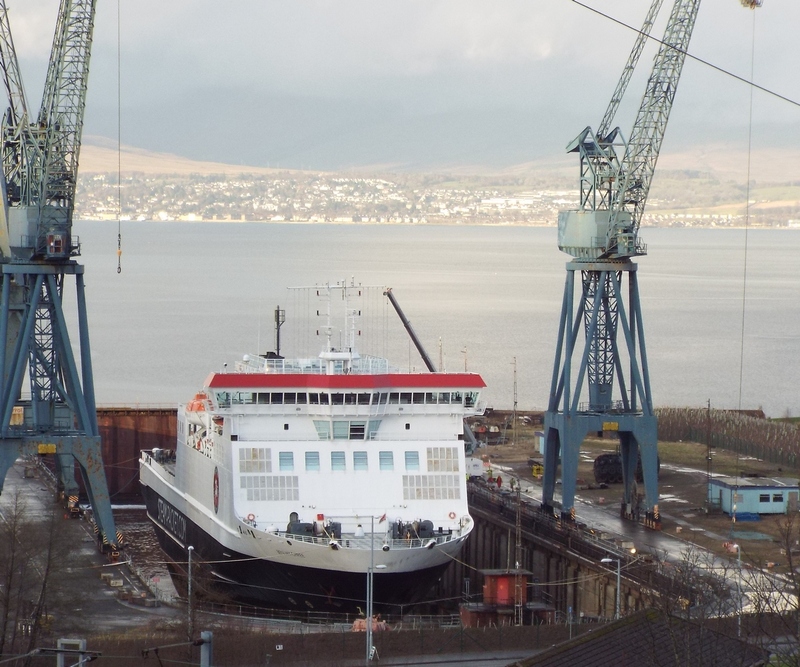 Having suffered damage to one of her stabilising fins she made her way to Greenock for repairs,she is seen here at Inchgreen drydock. The 12,500-tonne ferry can accommodate around 670 passengers and crew and 275 vehicles. It mainly operates from the island capital Douglas to Heysham, Lancashire.